Following the shutdown the New Orleans’ only full-time orchestra in the early 1990’s, a group of musicians were determined to rebuild an orchestra—the Louisiana Philharmonic Orchestra. 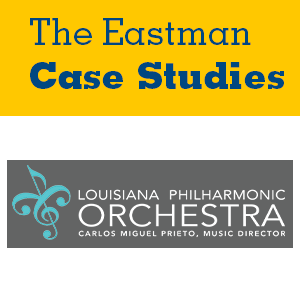 This case study details the history and development of the LPO’s musician-governed model and reveals its expansion from a groundbreaking fully musician-run orchestra to one that now includes administrative staff and community members on the board of trustees. The reader explores how stakeholders weigh decisions that involve balancing artistic and personnel decisions with budget sustainability and organization health.